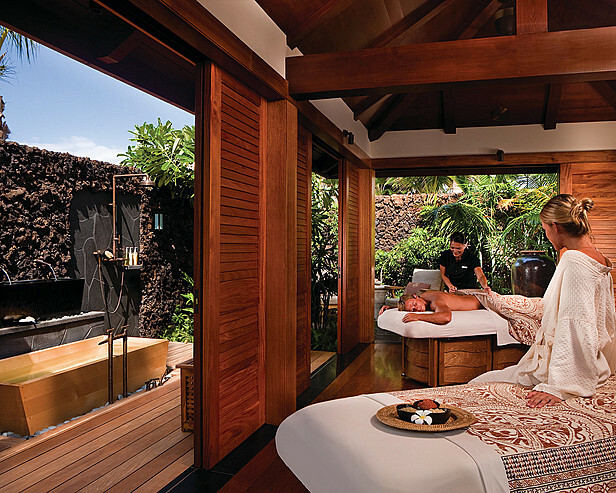 Hualalai Spa offers the utmost in luxury when it comes to spa experiences. The 28,000-square-foot (2,600-square-metre) Hualalai Spa integrates tropical gardens with cool interior spaces and feels distinctly Hawaiian. The Four Seasons Hualalai Spa offers is a distinctive and exclusive spa Apothecary of creams, oils, lotions and potions, where you choose from a list of ingredients that includes black lava salt, hibiscus, honey, and macadamia nuts, many of them indigenous to Hawaii, so that you can have your product custommade – that’s right – custommade – with a teaspoon and spatula, right before your very eyes. 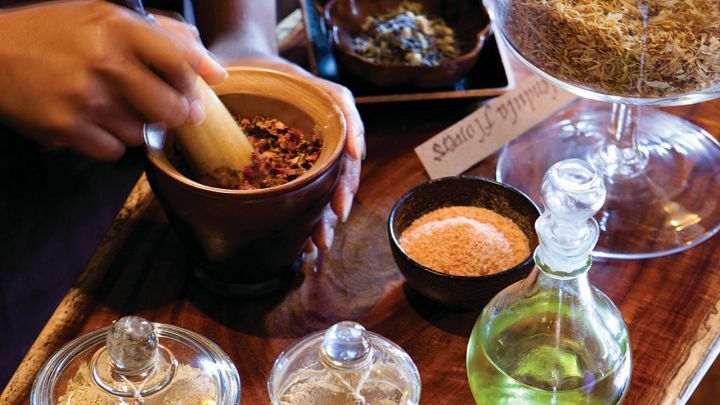 The Apothecary at Hualalai Spa. The Apothecary was inspired from the kupuna (Hawaiian elders), who shared their knowledge of the islands and its local ingredients. 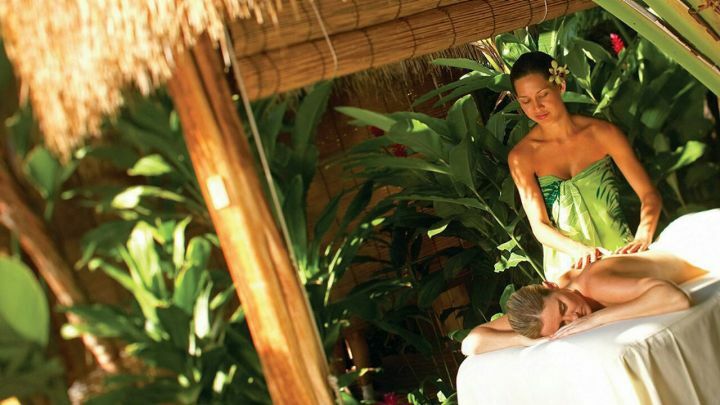 Exfoliate your skin in a wet treatment room, enjoy 11 different types of facials and a variety of massages including lomi-lomi,a traditional Hawaiian massage that is a sacred healing art passed down from generation to generation by kupuna. Island stone massages are also offered, where hot and cold stones are placed on and under the body to open the body’s energy centers to promote circulation. Cold stones are also used to decrease areas of inflammation. Acupuncture, physical therapy and yoga therapy is also offered for a sound mind and body experience. The Hualalai Spa may be enjoyed by guests staying at Hualalai Hale who sign up for Club Member Privileges**. The Club Member Privileges include Hualalai Resort Club Concierge Services, the award winning Sports Club, Spa, Four Seasons Hotel beach and pool services, all non-member Resort Restaurants, Hale Nalu (Ocean Activity Center), Tennis, “Kids For All Seasons,” and a resort-wide charge card account. For more information on the Hualalai Spa, visit their website. ** All guests are subject to a daily resort fee of $50 per person/per day for use of the Four Seasons Resort Facilities. No daily fee required for beach and restaurant access. Resort fees do not apply to children under 14 years of age.